IQM is the only media buying and audience intelligence platform designed specifically for political action. Political campaigns and advocacy organizations rely on us to accurately find, match and target voters to help them win elections. Since the company was founded in 2014, we have run more than 500 campaigns from across the political spectrum and have served over 100 million impressions daily. Powered by our proprietary artificial intelligence algorithm and machine learning techniques, our technology provides the highest level of data accuracy. Our extraordinary 70% match rate gives campaigns a competitive advantage to reach voters with real-time, targeted information that empowers them to get out the vote. IQM was founded by college classmates inspired by the power of technology to promote democracy. We ran our first campaign for Bernie Sanders for the 2016 Iowa Caucus and have been gaining incredible momentum ever since. We ran campaigns for a variety of issues and candidates from the National Climate Change March to Phil Murphy’s NJ Race for Governor. The IQM platform reaches over 100 million people daily. More than 100 mid-term political campaigns used IQM to target voters. IQM has run more than 500 online advertising campaigns, targeting millions of US voters. Now, we are poised for unprecedented success as we help clients get ready for the 2019 and 2020 election cycles. Bhargav Patel is a strategic and technical visionary who leads the product roadmap and marketplace vision for IQM. His primary focus is on mobile infrastructure, advertising trends, and consumer needs. 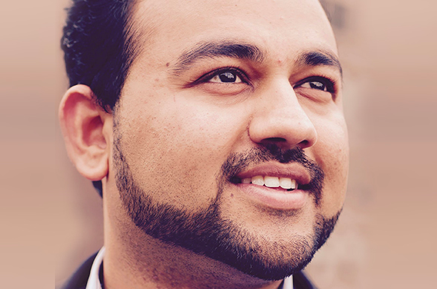 Patel has been building advertising and publishing platforms since 2010, and he's been involved with multiple startups, one of which earned him first place in the “1176 Challenge Cup” among 64,000 start-up companies sponsored by the US Chamber of Commerce. He earned his B.S. in Electrical Engineering from Toledo University in Ohio. As IQM's operational and business leader, Kris Qiu's primary focus is on building the financial and operational infrastructure, employee teams, culture, and strategic growth path of the company. 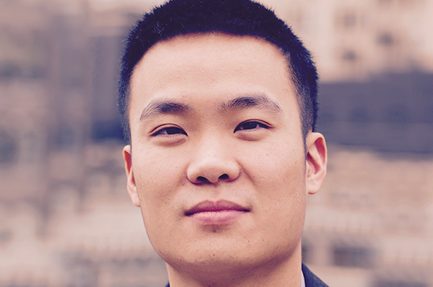 Qiu has worked in private equity for Vision Capital Advisors, LLC and in investment banking for Kerburn Rose, both in New York. He earned a Bachelor’s Degree in Finance from Baruch College, and he has significant experience with startups and companies in technology, media, and telecommunications.